For about ten minutes after the full time whistle the rugby gods mischievously threw a few gremlins into the RDS scoreboard making it show “LEINSTER-22 SCARLETS-27”, as if to remind everyone how the result could, and probably should, have looked. And the crazy thing is that it wouldn't be that difficult to throw together a short ‘highlight reel’ for those who missed the 80 minutes which would give the impression that it was a standard Leinster home display where the only disappointment would be the lack of a 4th try. You could start with our first five-pointer which came just before the break, a time when we've become infamous for troubling the scorers. On a 5m lineout where I was fully expecting Scott Penny to maul his way over the line yet again, instead the Scarlets defended well though despite things getting a bit sloppy as it was sent out through the backs, eventually our centres Conor O’Brien and Rory O’Loughlin combined for the latter to get it over. Try number two also began with a set piece from 5m out, this time a scrum. I have no way of knowing this but I reckon James Lowe looked at Dave Kearney's amazing finish in the corner against Toulouse and thought “that should be me” which, if true, would have made his finish in the same spot after an assist from Jamison Gibson-Park all the sweeter. Finally there was the pick of our three scores when Vakh Abdaladze thundered past the gain line towards the Scarlets 22 and once it was recycled Noel Reid looked up and planted a cheeky little rugby league style grubber to stop just over the try line. From the second it left Reid's boot, the visitor's Tom Prydie was favourite to tidy the situation yet somehow Barry Daly managed to nip around him at the vital moment and get it down. So on that evidence plus the actual final score, you'd have no cause for concern, but it's when you start to fill in the missing blanks that the alarm bells start ringing. For starters, there's the ten points the Scarlets left behind at the start of the half which would have made that scoreboard glitch look correct. On our first attack after the break, outhalf Ciarán Frawley threw an over-ambitious long miss pass to the wide channel which was easily picked up by Paul Asquith, who ‘only’ had to run it to the line and get it down and bring his side back into the match, yet after inspection by the TMO it turned out he couldn't manage the second part. Then just a few minutes later after spurning a few kickable penalty chances to go for the corner, they chose instead to go for the posts yet somehow Dan Jones managed to pull his effort wide. And all this came after a first half when I can't for the life of me understand how the Scarlets managed to bring a duck egg with them to the dressing room. We couldn't buy our way out of our own half for the first half an hour yet despite several visits to our 22, they just couldn't fabricate a score. Here is where the paradox at the heart of this match lies. 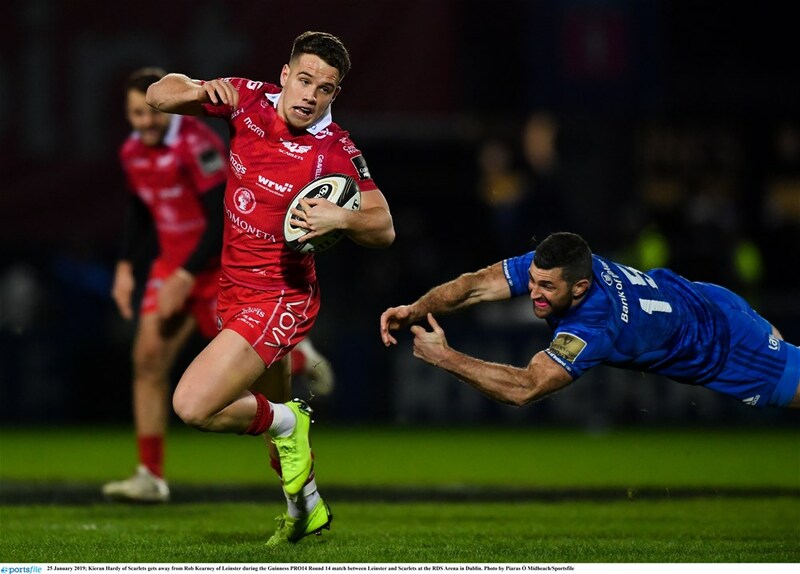 For me, while Wayne Pivac and his coaching staff will have a lot to be frustrated about for his side's failure to score in those 40 minutes, a lot of it was actually down to an inability to break down Leinster's renowned defence. Yes, yes, I know that sounds weird given how many tackles we missed on the night, and the experienced players were just as guilty as the youngsters; don't worry, I will get to that. But when a system that usually works over 90% of the time dips even 10% below that level, you're still going to see results and I reckon we did reasonably well overall to keep them scoreless before the break all told. The defensive problems we did have seemed to stem from the point of contact. We have to accept that the approach we take without the ball comes with a high element of risk. Both Leinster and Ireland tend to stand up to ball carriers with a view to both preventing offloads and stripping the ball. Given all the success both sides have had in recent times it is clear that putting so much faith in our technique can pay amazing dividends, at least the DVD session from Friday night's match can prove useful as a demonstration of what happens when the required accuracy just isn't there. Time and time again when a strong-running Scarlet wasn't breaking past his initial challenger altogether, we were being pinged for a high tackle, in fact so often that we were perhaps lucky not to have seen a card for repeated offences. And if you look back over situations where opponents have broken through our first line before, you'll see that more often than not our scrambling is able to retrieve the situation. For me the key to this has been the positioning work done by the centres, and while much of the blame has been placed elsewhere, I feel this is why the Scarlets eventually did make it over our line. 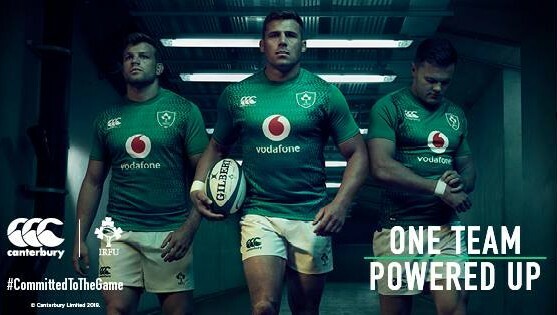 You'll just have to believe me when I say I don't want to be defending Rob Kearney. He definitely missed some tackles on the night and none of them looked good. Tell you what - I'll even use one as the lead photo as proof that I know he made mistakes. But let's look at that first Scarlet try and how it developed. Yes, he missed his man badly when Dan Davis (yet another rollout from the Scarlet Super 7 Showroom it seems) was open in the wide channel, but why was there all that space and should Rob have to rush in and handle that situation? For me, that sequence actually demonstrates just how used we have gotten to the kind of defensive coverage offered by centre pairings all the way back to the Darce-Drico days. On this occasion, the spacing was wrong, and the Scarlets are definitely a team that can hurt you when they spot it. And in case you think I'm picking on The Centres' Union, the rare failings don't just come from there; the previous weekend against Wasps, Andrew Porter fell asleep at the pillar position allowing Robson to break through and score. Of course those situations should be a concern, but we can't just look at them in isolation, even within just the one match. For every line break that produces a score against us we must also remember the many long series of over a dozen phases that didn't. And even going back beyond that error in coverage, that try scored by Scarlet 9 Kieran Hardy could be said to have been caused by a box kick from Gibson-Park that was way too long which made it more difficult for our defence to set. So for now, rather than spend too much time pointing fingers at individual mistakes, until they happen so frequently that results suffer as a consequence, it might be better to appreciate what those same individuals manage the rest of the time. The second Scarlet try is a lot easier to analyse IMO. Even if Abdaladze hadn't just sprinted up the field on the way to setting up our third try, it was still a mismatch when he had the sprightly Johnny McNicholl running at him and again it was Hardy running a perfect support line which meant the match was still alive going into the final few minutes. But to return to things positive for Leinster on the night for a moment, let the record show that we went 7/7 at scrums, 11/11 at lineouts, and kept the penalty count relatively low at 7. Though while Ross Molony did put in a good shift helping produce those numbers, I wouldn't have given him man of the match. To be fair to both him and eirSport's Liam Toland who gave the award, the flurry of strong tackles from Barry Daly in the closing stages came after the announcement was made, yet still I felt the winger had an outstanding night anyway up to that point, not just due to his fine opportunist finish either. Honourable mention should also go to Scott Penny - perhaps he didn't get one of his trademark tries off a lineout maul but he definitely showed us other aspects of his game. On a night when missed tackles were being highlighted, he just had one against his name as he easily led the category for those he made with 23, plus he placed a thundering hit of his own in the final minutes to force a turnover. It wasn't the best outing by a Leinster halfback pairing at the RDS by a long stretch it has to be said, but again we have seen enough from both Hugh O’Sullivan and Ciarán Frawley to suggest tat given more game time they will improve. And as if the previous 79 or so minutes weren't enough to suggest that Leinster were going to win this no matter what, the Scarlets had a final insult right at the very end. Despite his try in the corner, James Lowe wasn't immune from the odd mistake on the night and while he is arguably the best in the game right now at the ‘leave and retrieve’ manoeuvre after being tackled, attempting it when we're looking to wind down the clock perhaps wasn't the best plan and he had it pilfered by Ed Kennedy. That gave the visitors one final shot and finding a way through and after much persistence and recycling, Asquith did manage to get into our backfield yet his offload to the hat-trick-seeking Hardy had too much weariness in it and it went to ground allowing us to recover and put the fortunate victory to bed. With the Six Nations about to start, plus the fact that Leinster's lead atop Conference B is now more than 4 BP wins (all four in the chasing pack failed to win in this round, and two of them played each other!!! ), there should be plenty more chances for our next generation to gather more valuable experience before this season is out. If we want to dwell on the mistakes from Friday night we can, but it's worth remembering we can also cite the Law of Swings and Roundabouts given we were a bit unlucky in the reverse fixture back in September. Later this week; 80-word reviews on Tuesday, Harpin Points on Wednesday then it's the telly post on Thursday before we start looking ahead to the big Six Nations kickoff, with of course Front Five every morning. Do stay tuned!